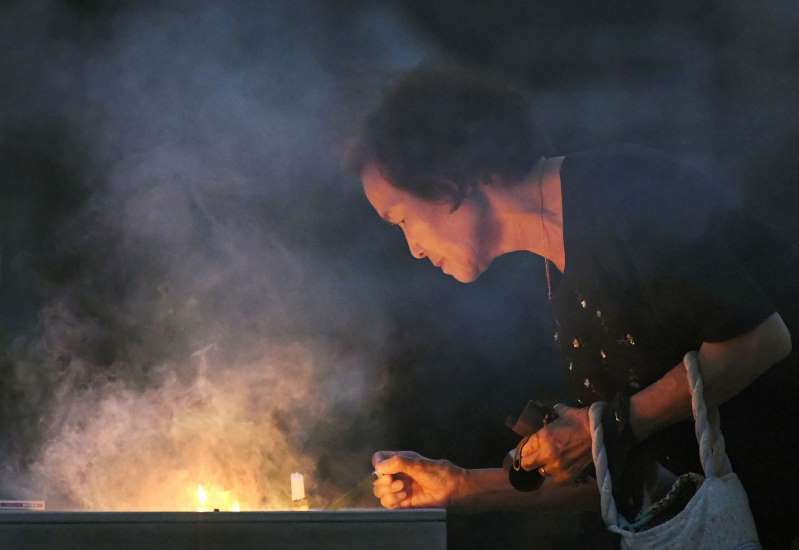 Hiroshima marked the anniversary of the Aug. 6, 1945, atomic bombing with a somber ceremony Monday to remember the people killed and injured and a call to eliminate nuclear weapons amid hopes of denuclearizing North Korea. [post_ads]Mayor Kazumi Matsui opened his peace address by describing the hellish scene of the blast that morning 73 years ago and the agony of the victims, telling the audience to listen "as if you and your loved ones were there." He raised concerns about the rise of egocentric policies in the world and warned against the idea of nuclear deterrence as a threat to global security. Matsui urged leaders to steadily work toward achieving a world without atomic weapons.